On the 4th of July, at Hotel Mandarin Oriental in Barcelona, the presentation of the supermarket of the future took place, a purchasing experience through personalisation, ethics, sustainability and technology, designed by the EVVO Retail studio and presented with the collaboration of PORCELANOSA Group under the name of SuperLab. EVVO Retail is an innovative company in the point of sale, specialised in supermarkets. 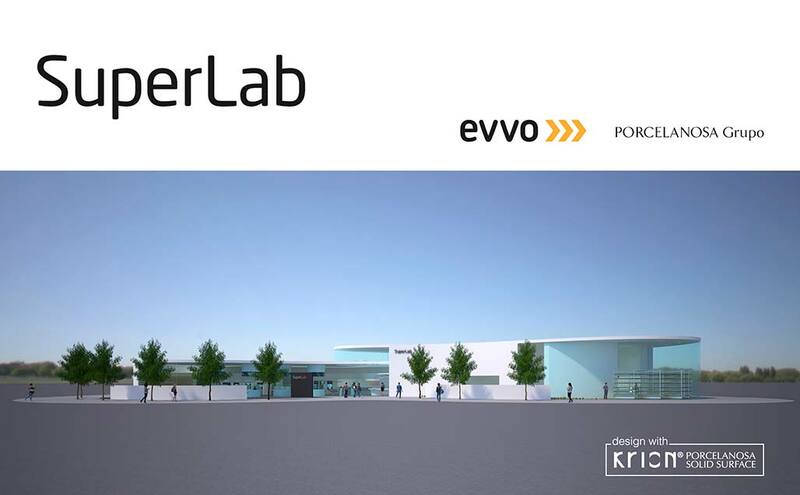 On this occasion it presents SuperLab, a project that brings us the supermarket of the future. For Pep Valls, one of its creators, “this new concept proposes a full revision of the purchase experience, encouraging assisted sales and integrating technology to provide solutions adapted to the profile of each user”. PORCELANOSA Group played an active role in this creative concept, using products of the 8 firms of the Group; KRION and its air purifying material K-LIFE (only manufactured in the purest white colour 1100 Snow White KEAST) being the prominent material in the whole project.